It's a stormy morning in the high country of Rocky Mountain National Park. Storm clouds roil over the summit of Flattop Mountain as a sliver of sun breaks through the cloud to turn Flattop Mountain fire red. 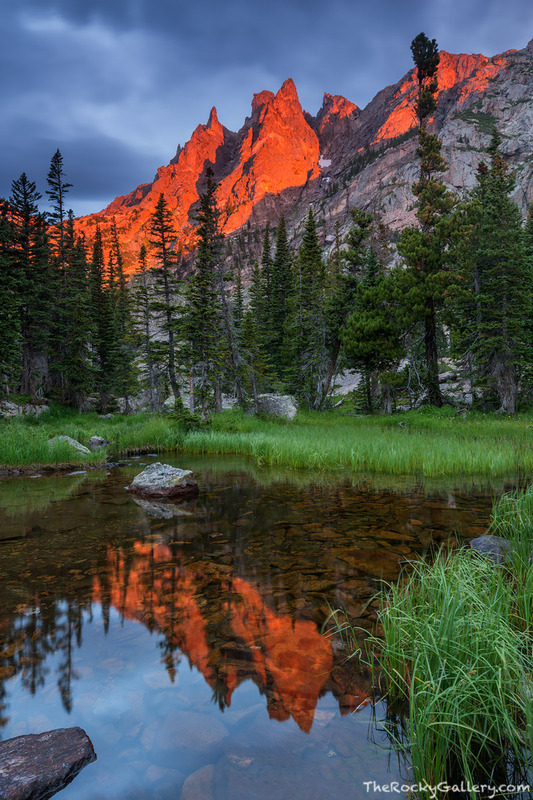 This small tarn is located in the Bear Lake area near Dream Lake. These moments only last a few seconds when out in the field, but as a landscape photography it's these brief moments of dramatic lighting and conditions that make waking up at 2AM worth it. Photo © copyright by Thomas Mangan.